The long arm quilting machine is definitely a unique tool. Besides the sheer range of sizes you can buy, (for more on that head here); those that make the leap to invest in one generally become rather attached to them. And that’s in both a commercial or home crafting environment. They look unwieldy and they can be confusing to use when you are first faced with one. However, we are not going to spend time talking about the operational aspect of the long arm, I’m here to discuss some of the more random facts and features for all you enthusiasts out there. So, let’s get to it. 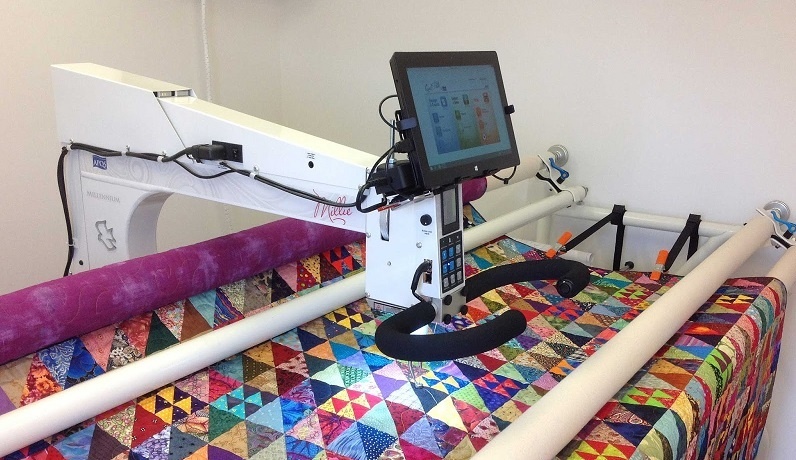 Here’s 7 short facts about the long arm quilting machine. Who originally came up with the contraption? Ken Gammill was the man that first came up with a device that could perform long arm quilting. Way back in 1980, he designed a machine that had a whopping 18-inch throat. There’s been a whole line of machines named after him. You can find out more on the man and the history of the long arm at the Gammill website here. The original long arm was created so that the machine would ride on tracks while the top, batting and backing would move on the rollers. As we all know, the system works very differently today. It took various incarnations via a number of manufacturers before we got to the type of long arm quilting machine you can buy now. Despite the long arm being a distinctive category of machine, there are still approximately 11 manufactures designing and producing these handy tools, with a wide range of available models, (The Longarm University site has detailed info on this). Which is great news for both the commercial application of the machine for industry, as well as those that make the leap and buy a system for the home. As the technology advanced, it became possible to use the pantograph with the long arm quilter. In short, the operator can purchase paper patterns which show exactly how to stitch a design from one edge to the other. Utilizing a laser light attached to the long arm, you sew the patterns by following the light from the back of the machine. (Read more on the process here). As we stated above, the technology has certainly come a long way since Gammill produced the first long arm. Using the computer, you can program the machine to stitch your chosen pattern more precisely than you could ever do so by hand. These machines do not come cheap however. So what’s the stitch regulator business all about? You may have come across the term stitch regulator in the world of the longarm quilter. In short this is a mechanical device fitted inside the machine that regulates the length of the stitch. The beauty of this addition is that despite the rate at which you are moving the machine, the stitch rate remains consistent. It’s all about the finish after all. Is the longarm quilter the only way to machine quilt? 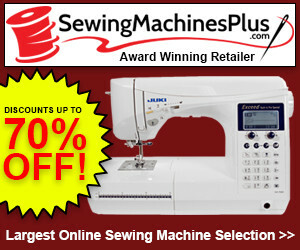 A popular misconception is that to properly quilt with a machine, you are going to need a long arm quilter. This is not true. With add-ons it is quite possible to quilt with a regular domestic machine. Another popular choice is to use a sit down mid-arm machine. So if the bank account (or space available) means a full long arm machine is not possible, there are other solutions available. And there we have it, our 7 short facts about the long arm quilter. Whether you new to this interesting world of crafting, or an old veteran, we hope you found them of interest. Again, if you are in the market for buying a new machine, be sure to check out our list of 5 of the best longarm quilters on the market in 2017. They are a costly investment so you need to do your research first.